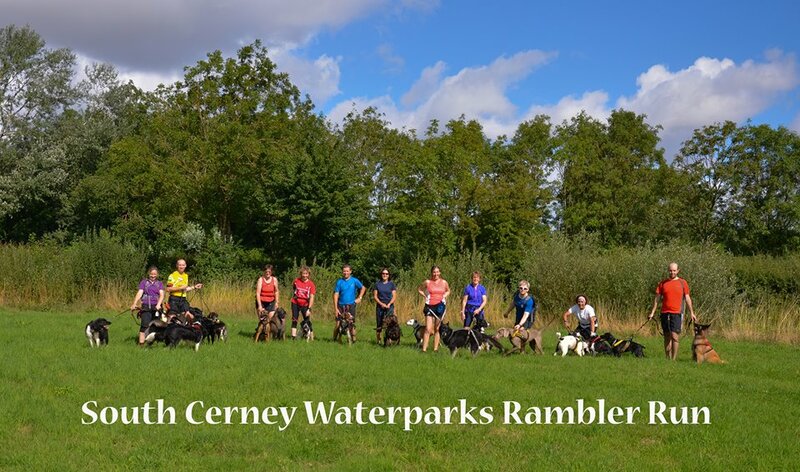 With the recent development of regional canicross clubs, I decided to ask a few of them to get in touch with some details about their club to help promote the club and advertise the benefits of joining, to anyone thinking of starting out in canicross. 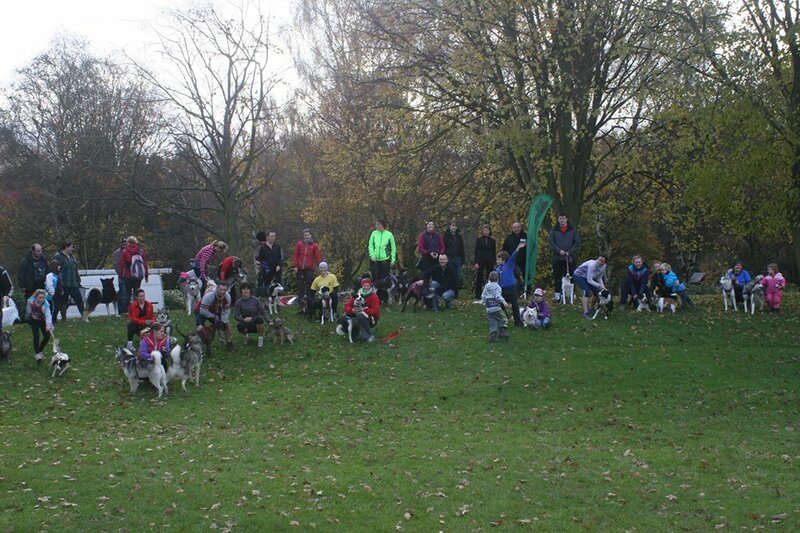 Canicross Midlands is a non-profit making club, who were officially formed in September 2013. Driven by her passion for the sport, Claire Martin (Club Chair) assembled a committee of experienced and enthusiastic members, aimed at promoting the sport of canicross and bringing it to a whole new audience. As the name suggests, the club covers the whole of the East and West Midlands area, from Birmingham and Worcester to Lincoln, Leicester to Nottingham, and Derby to Northampton. 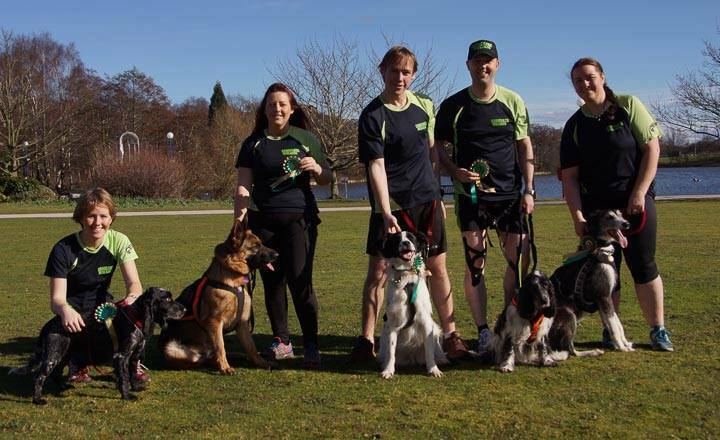 One of the key aspects of the club is that it is fully inclusive, offering a friendly welcome to runners and dogs of all ages, abilities and personalities (these apply to both owners and hounds!). 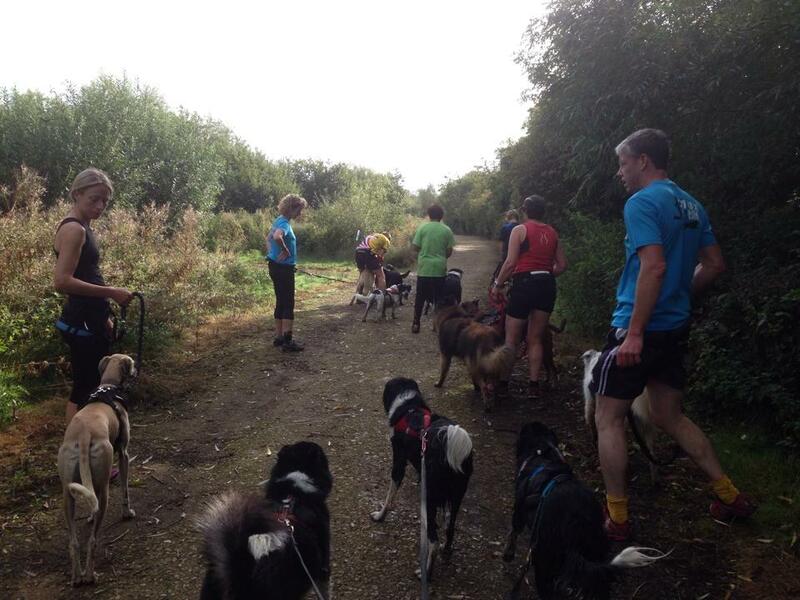 Canicross Midlands is a rapidly growing canicross group in the centre of the country. 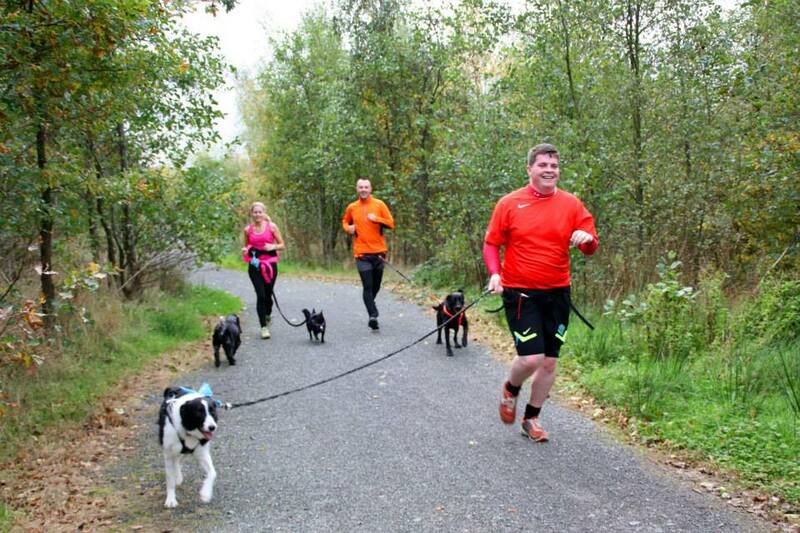 Since it was first established, Canicross Midlands has introduced the sport to a large number of new people, many of whom are now regular runners and have brought along more friends of their own. The club runs have also assisted with the rehabilitation and development of dogs with various issues too, providing a great outlet for all that excess energy. Canicross Midlands held their first full event in February 2014 – The Bissell Wood Tail Blazer – which attracted over 200 runners and riders over the course of the weekend and, despite the challenging conditions, proved to be a great success. The event included a number of novice classes, which proved very popular, and highlighted the club’s commitment to making the sport accessible for everyone. As well as actively helping to re-home a number of dogs into excellent canicross homes, the club is also fast becoming renowned for something else – cake! As an added bonus at many of the runs, the provision of a supposedly guilt-free reward has become quite commonplace and in fact, to date, the club has already raised over £300 for various charities by holding cake sales at Bissell Wood and other local events. Whilst the club boasts a number of world class performers amongst it’s members (like European gold medallists Kim & Mark Mazzucca and Jim Urwin, silver medallist Elaine Sherwin and bronze medallists Wendy Holmes and junior Jonathan Ingram), they are equally as proud of the achievements of many of their less experienced members (like Maxine Hydon taking part in her first ever organised event, Natalie Shaw, who recently completed her first full 5k race, and Karen Drake, who was inspired to take up running by the London Olympics in 2012 and now regularly competes around the country). In March 2014, the club also came 3rd in the Canicross Relay Demonstration at Crufts. Membership costs just £10 per year for adults and £5 per year for juniors. A family membership is also available for £25. Benefits include third party insurance whilst on club training runs and discounts with a number of canine sports suppliers and manufacturers. The club’s Facebook group now has in excess of 500 members and is a great platform for useful information, news, tips and details about events. Their training runs take place in over 20 different venues around the region and provide the perfect opportunity for newcomers to try out canicross for the first time, offering a good range of kit to borrow, try out and compare. 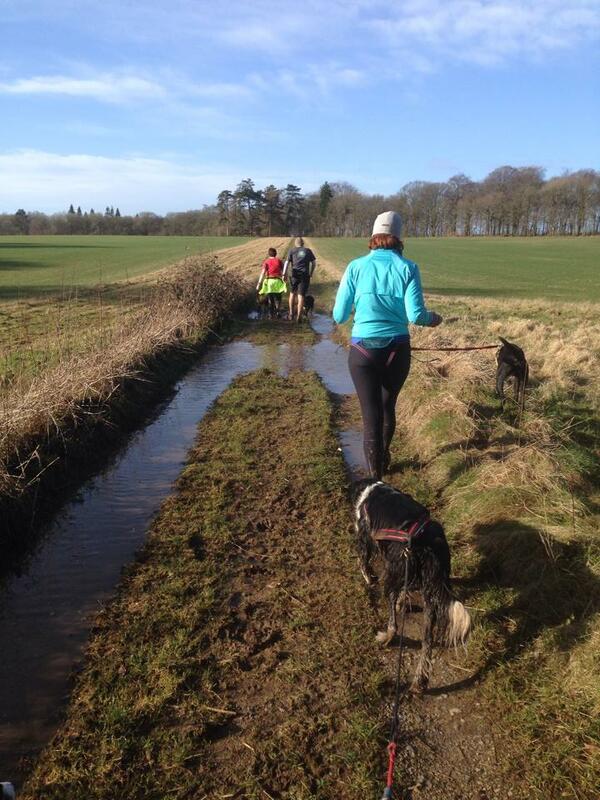 No matter which venue you are nearest to or which training run you are able to join, you are guaranteed a warm welcome, with patient, friendly and helpful advice to begin your great canicross adventure, whilst making some new friends for you and your dogs along the way. For more information, go to www.canicrossmidlands.co.uk, or find them on Facebook or Twitter @CaniMidlands.